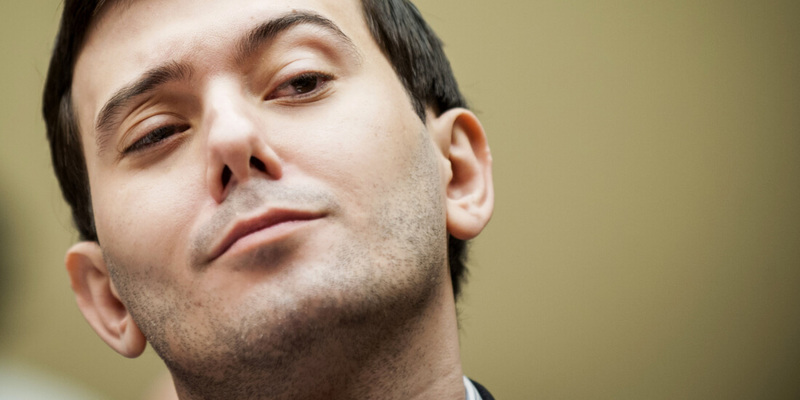 Everyone’s favorite internet villain, Martin Shkreli, has found himself in trouble again. This time, the former Turing Pharmaceuticals CEO has been removed from Twitter after continually harassing journalist Lauren Duca. Shkreli - who gained infamy in 2015 after he raised the price of an old anti-infective drug by more than 5000 percent – then changed his Twitter banner to a collage of photos featuring Duca. It included the words, “For Better or Worse, Til Death do Us Part, I’ll Love You With Every Single Beat of my Heart.” He also updated his profile picture to show an image of Duca and her spouse, but with Shkreli’s face photoshopped over the top of her husband’s head. A few hours later, Shkreli’s account was suspended. “The Twitter Rules prohibit targeted harassment, and we will take action on accounts violating those policies,” said a company spokesperson. Shkreli has also been “temporarily suspended” from Periscope for allegedly harassing and trying to contact Duca on the Twitter-owned platform. As was the case with Breitbart tech editor Milo Yiannopoulos’s suspension, the banning has led some to question Twitter’s commitment to “free speech.” Shkreli himself remains unrepentant, saying he would stop if Duca directly asked him to.